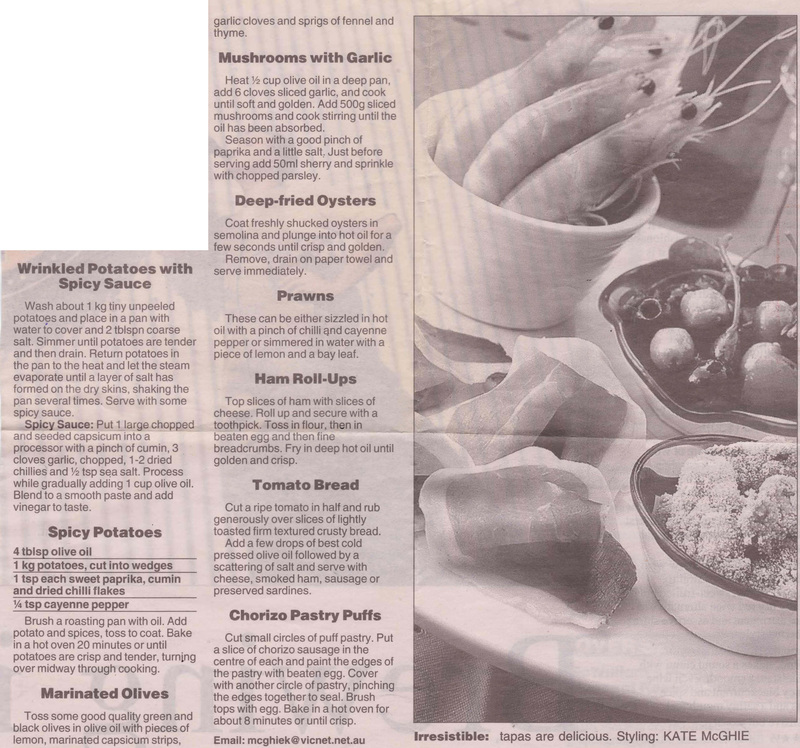 This selection of Tapas delicacies was published in the Herald Sun in about 2002. Of course they are much more common now, but this selection are fairly simple to make and as the accompanying article says are ideal “taken with a glass of sherry, beer or wine”. This entry was posted in All Recipes, Soups & Starters and tagged 2000s, chorizo puff pastry, deep fried oysters, ham roll ups, marinated olives, mushrooms with garlic, prawns, spicy potatoes, tapas selection, tomato bread by bebsrecipes. Bookmark the permalink.